The diploid form is the lesser generation (smaller, short lived and nutritionally dependent on the haploid form). 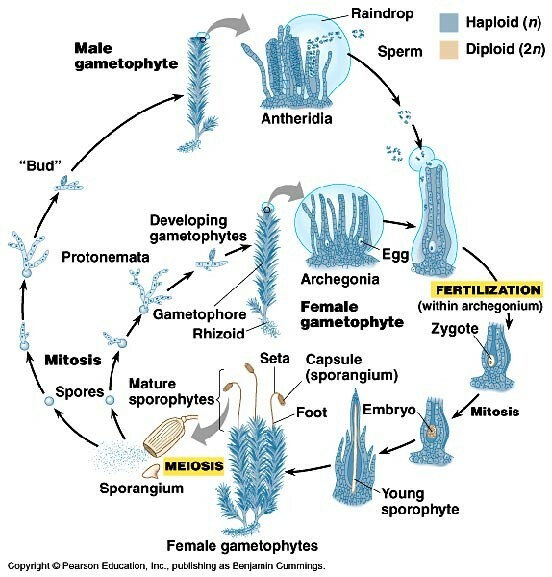 Egg and sperm formation takes place in the leafy green moss plants (gametophytes). 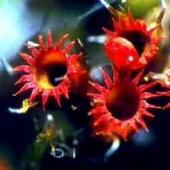 Spore formation and release takes place in the tiny, attached spore plants (sporophytes). 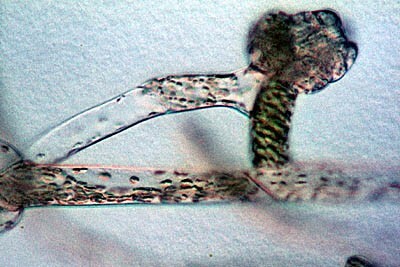 Spore germination results in a branching algal-like filament that is called a protonema (pl. protonemata; proto, first + nema, thread). 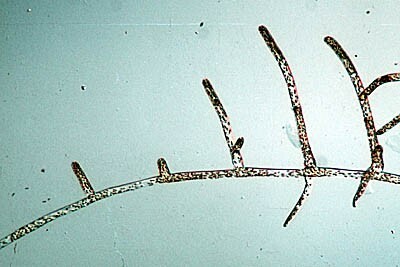 Physcomitrium turbinatum - A bud occasionally forms instead of a branch. 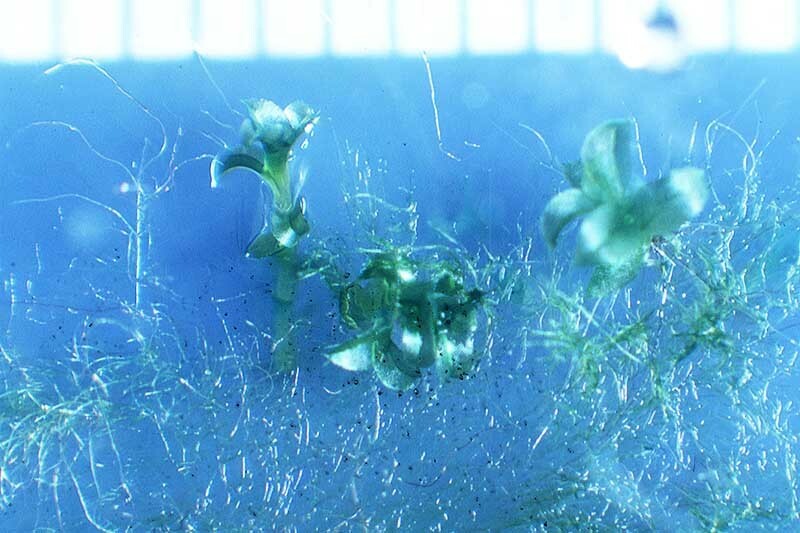 In this photo, the bud initial is at the top, and a rhizoid initial is to the side. This bud will form leaves and a stem of a new moss plant. Physcomitrium turbinatum - Protonemata with small moss plants in sterile culture. Such leafy moss plants arose from the repeated divisions of the bud initials. Normally, the protonema stage then degenerates as the new plants increase in size.